Growing up on the east end of Long Island, New York, Kerrin Laz was raised by parents that loved to cook and bake, using only fresh, local ingredients. Kerrin was first introduced to wine and viticulture during her childhood when she witnessed the evolution of surrounding sod fields and potato farms evolve into vineyards of Merlot, Cabernet Franc and Chardonnay. After an incredible twelve years with DEAN & DELUCA, in the Spring of 2015, Kerrin left DEAN & DELUCA to launch K. LAZ WINE COLLECTION, an online wine shop and beautifully appointed tasting room and retail shop in Yountville, the heart of Napa Valley. In Fall of 2016, Kerrin added vintner to her title when she released the inaugural vintage of her own wine label, LAZ Wine. Seeing many in the business beginning their own wine projects Kerrin knew that if she were to ever start her own brand, she would only partner with one of the best winemakers and source from only the best vineyards. If that wasn’t a possibility, then she simply wouldn’t launch her own wine. Luckily, thanks to her great working relationship and friendship with renowned winemaker Celia Welch, Kerrin was able to bring Celia on board as her winemaker. 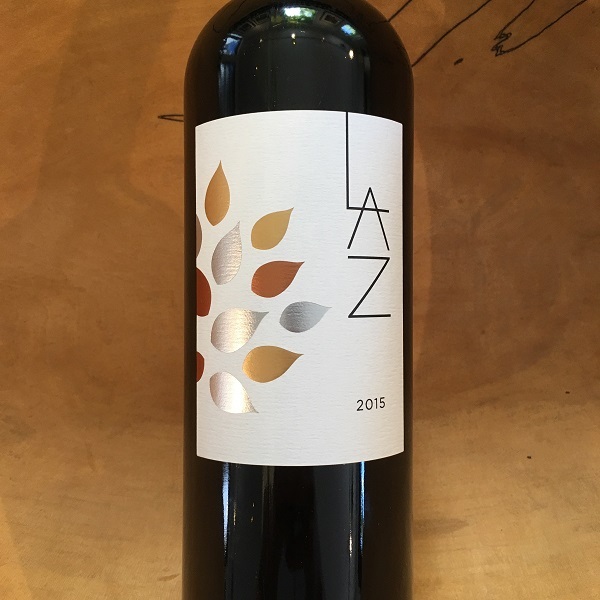 The 2015 LAZ includes 11% Merlot, 3% Malbec, and 1% Cabernet Franc, grown in Rutherford, Spring Mountain, Oakville, and Pritchard Hill areas of Napa Valley. The fruit was carefully hand-harvested, fermented as small lots, barrel aged in French oak (a variety of coopers, 60% new) and judiciously blended shortly before bottling on May 9, 2017.